Talented violinist Tamsin Waley-Cohen will open the new Birmingham Town Hall/ Symphony Hall Classical Music season with a recital on October 3, 2016. 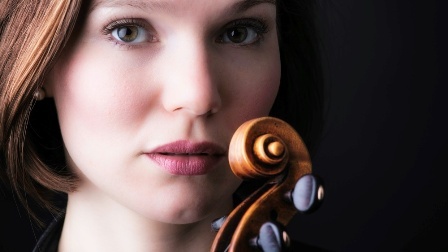 The concert, at Birmingham Town Hall, will also launch Tamsin's European tour. She and her regular duo partner, pianist Huw Watkins, will continue the tour at Het Concertgebouw in Amsterdam, Philharmonie Luxembourg, Cité de la musique – Philharmonie de Paris and the Barbican Centre in London. Tamsin's recital programme comprises Beethoven's Violin Sonata No 5, Ravel's Violin Sonata No 2 in G major, Elgar's Violin Sonata in E minor and Selection from Gershwin's Porgy and Bess. Already extremely popular with Birmingham audiences from her time as Associate Artist with Orchestra of the Swan, Town Hall/ Symphony Hall selected Tamsin to be the British nomination for the prestigious European Concert Hall Organisation's (ECHO) Rising Stars programme which aims to introduce young and exceptional young artists to new international audiences. Commenting on the Rising Star scheme, Tamsin says: "I felt very honoured when Birmingham chose me as the only British nominee and could not believe it when I received the award. I haven't played in most of these places before, so there will be a lot of debuts for me and a real chance to connect with new audiences. I'm so pleased to be starting at Birmingham Town Hall, which is the perfect venue for chamber music." Tamsin's ECHO Rising Star recitals represent the natural next step in her artistic development. "Playing concerts is really the only way for an artist to find the freedom of communication and discover how to make connections with the public," she says. "There is almost a dialogue between performer and audience; at least it's a two-way communication. The ECHO Rising Stars tour, I believe, will allow me to explore this magical process and share the experiences that music evokes with a large audience. I feel that I learn new things and develop as a person and as an artist with every concert I play." Born in London in 1986, Tamsin has performed with the Royal Philharmonic Orchestra, Bournemouth Symphony Orchestra, BBC Concert Orchestra, London Chamber Orchestra, Bath Philharmonia, Budapest Philharmonic, Graz Kammerphilharmonie and Chapelle Musicale de Tournai. Her love of chamber music led her to form the Honeymead Ensemble (resident at the Tricycle Theatre in London) as well as the Honeymead Festival on Exmoor. She is also Artistic Director of the Sunday Series at London's Tricycle Theatre, for which she was named one of Evening Standard's 1,000 most influential Londoners and she was Artistic Director of Music at the Bargello Chamber Music Festival in Florence, Italy in 2011-2012. She is a member of the acclaimed London Bridge Trio with whom she recorded the Dvorak piano quartets for the Champs Hill label. Since 2007 she has played the 1721 ex-Fenyves Stradivarius violin. Richard Hawley, Head of Artistic Programming at Town Hall Symphony Hall, says: ''Tamsin Waley-Cohen is one of the most inspiring of Britain's younger violinists and I am delighted that we are able to support her ongoing development through this prestigious European concert hall tour. 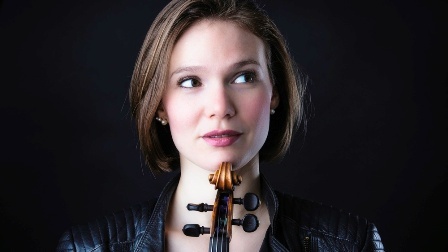 This is a fantastic opportunity for Tamsin and a strengthening of Birmingham's connections to the rest of Europe's classical music scene."